I recently had a really bad cold or flu which lasted forever. During that time I found myself dreading taking another Advil, aspirin, NyQuil, cough syrup or throat lozenge. Was I just prolonging the sickness, and what kind of damaging effects could all of this harsh medicine have on my body? Near the end I found myself replacing the cough syrup with warm water, lemon juice and honey and then gargling salt water before bed. Deep in my medicine cabinet I found an old bottle of ‘Rainforest Remedies’ that I got from a trip to Belize a while back. The ingredients were simple, with the main ingredient being simply cayenne pepper. I recall coconut water being another thing that really helped in my travels, which makes sense due to the fact it is a great natural hydrator and is full of electrolytes. There are still many parts of the world which does not have easy access to modern medicine, and while for treating disease and serious illness there really is no substitute, what I was experiencing was more of an inconvenience that could probably be solved by traditional and homeopathic remedies. With a little further research, I was able to find a few more everyday ingredients, produce and methods using cupboard items that can be used to treat minor illnesses and annoying symptoms. Remember though, just because it is natural doesn’t mean it can’t be harmful or cause adverse reactions or drug interactions. Please consult your doctor before using them as with any treatment. Feel free to add in the comments section if you have your own personal favorites! Works great as a mouthwash and can help with heartburn as well. 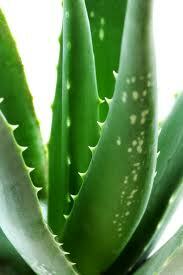 An astringent, it will calm that tickle in your throat and help protect it. Caynne Pepper – Particularly effective at clearing sinus passages, the contained capsaicin also improves blood pressure and helps to boost endorphin levels leading to a reduction in pain or numbing and a ‘feel good’ sensation similar to a ‘runners high’. Try making a tea out of dried peppers (test the steep time often so as not to make it too hot! ), adding it to food, or even just gargling water infused with the pepper. Tea – Gargling or drinking tea with teas which contain tannin (black tea, green tea, white tea, and Roobios or Red tea) can assist in tightening the membranes in your throat, helping to relieve that tickle or scratch in your throat. Lemon – High in vitamin C and the ability to decrease the toxicity of viruses in the body, lemon juice is a great addition to water to prevent dehydration as well. Mix with honey for a triple threat. 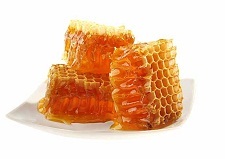 Honey – Great for reducing heartburn and indigestion, sore throats and coughing. Mix in warm water, tea or just a spoonful alone. Particularly effective in the ‘Raw’ unfiltered form where more of the natural enzymes are preserved. Saltwater – Surprisingly effective when used as a gargle (don’t actually drink it), warm saltwater will moisten a sore throat and soothe the uncomfortably inflamed membranes. Ginger – Soothing to an unsettled stomach, ginger, whether in the form of a tea, root candy or extract, will help to calm things down in your belly. 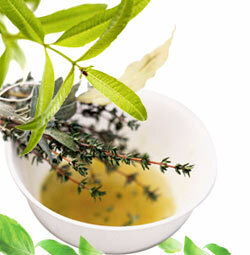 Eucalyptus Oil – The menthol in the oil helps to clear the nasal passages and soothe pain. Menthol contains mild numbing agents which can also relieve soreness and throbbing. Coconut Water – Improves hydration though high concentrations of electrolytes such as potassium and chloride, but is also low in sodium. If you have a constant hacking cough, try a little honey. The Chines have used it for thousands of years Honey.as a medicine for coughs. Just mix a tablespoon of honey with a cup of hot water and a squeeze of lemon juice.